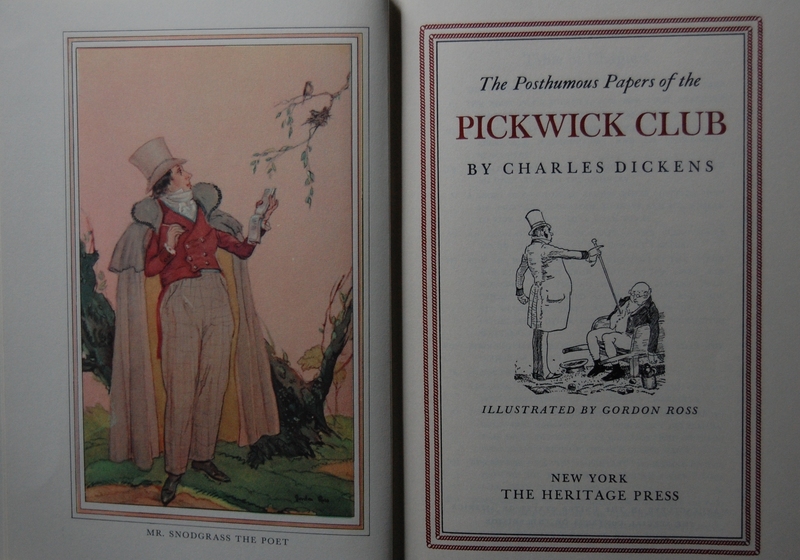 Part of the Heritage Dickens series (distinction of the Heritage Press); the LEC did their own 2-volume Pickwick Papers in 1933 with John Austen’s illustrations. 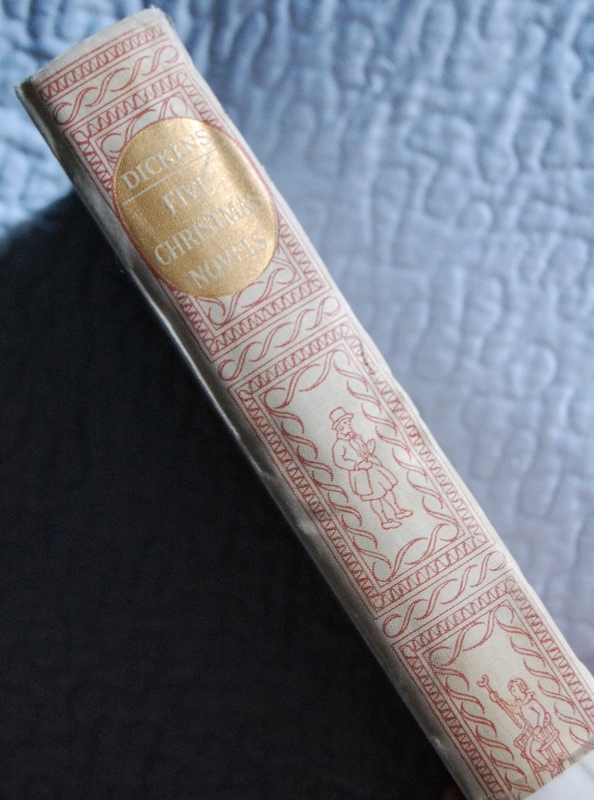 Front Binding – All of the Dickens books initially put out by the Heritage Press have this binding detail, although some have different linen colors to help distinguish them. The spine is where the major difference from the other books lurks, as you’ll see below. All were designed by Clarence Hornung. Another neat thing about this line of books is that the Heritage Press made all of them the same size. 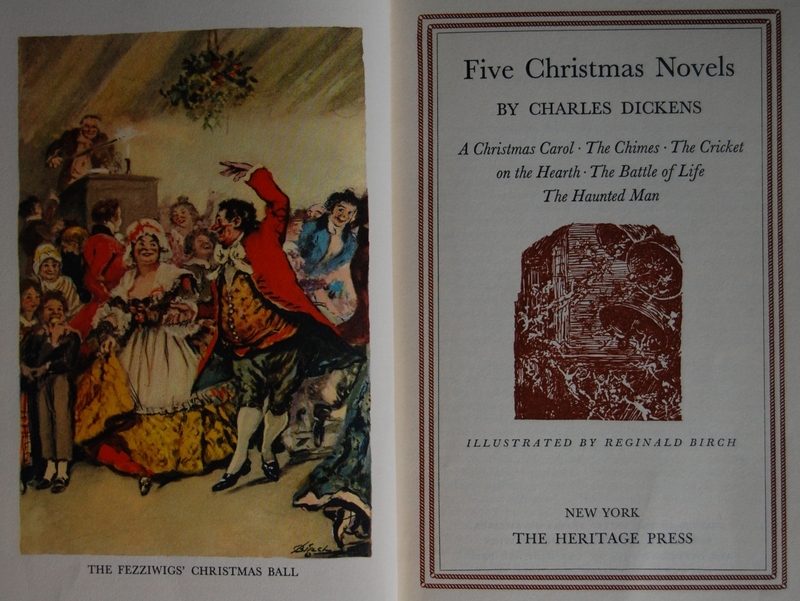 All are 6 x 9 inches, and they seem to all have come with red slipcases (the two Dickens I own feature them, as have others I’ve seen in stores). 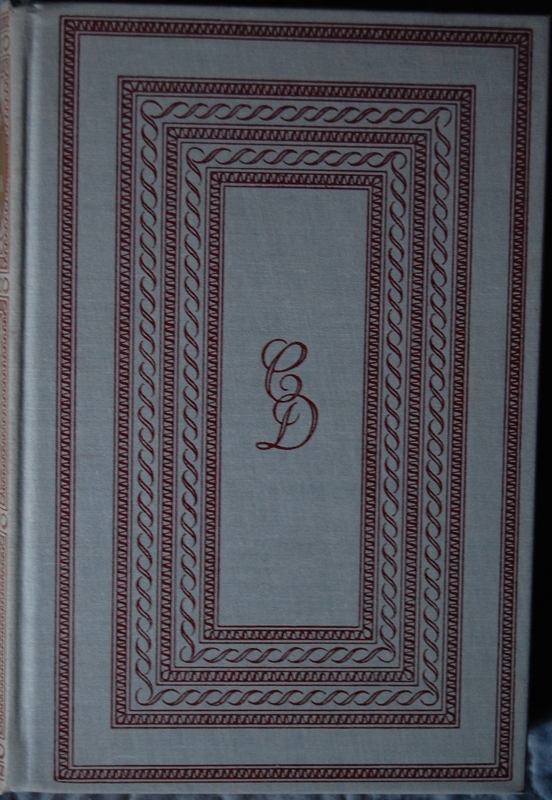 This book was bound by Frank D. Fortney with Interlaken British grey linen (as the Sandglass describes the color). The front and back are identical. 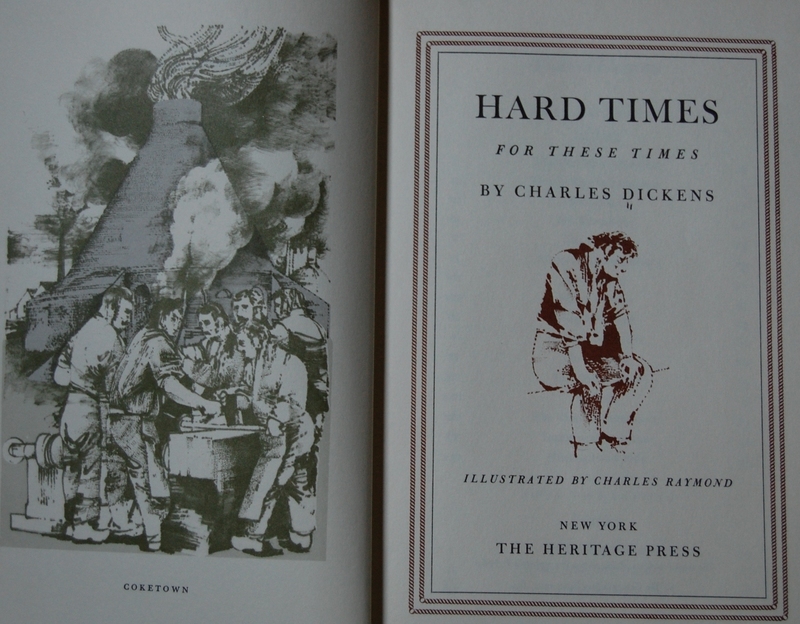 Dickens was hugely popular with both the LEC and Heritage Press, as both put out several (if not all) of his books. The first LEC was, curiously, The Chimes. Not his most well-known work, but hey, whatever works! The Chimes came out in 1933 with Arthur Rackham’s visual talent. After an initial frenzy of five books in the 1930’s, he would be given a considerable reprieve until 1957, and the LEC would follow with three more in the ’60’s and ’70’s for a grand total of nine. 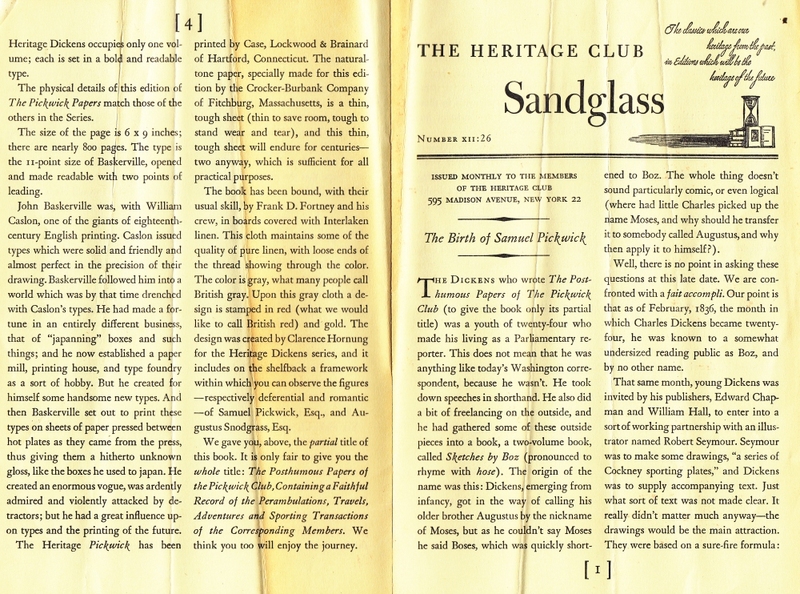 The Heritage Press didn’t take any sort of hiatus, though, starting off with an exclusive David Copperfield (with John Austen doing the art), and then began this lovely series that were mostly original and unique to their Club. You can check out the Heritage Exclusives list for the entire list. If you don’t mind, I’ll take a very brief diversion to talk about the first six Heritage Press books. When the Heritage Press got started, they kicked off with a special set that LEC members were offered first. These were done up a little fancier and featured a signature of the artist somewhere within. 1500 copies were made of these, much like the LEC limitation. Macy had suggested to his LEC clientele that perhaps the Eighth Series of LEC’s could be delayed for these special Heritage books to not cause financial duress to the membership. Naturally, there was a slight outrage, so Macy went ahead and put them both out at the same time. This enabled LEC members to cancel their Heritage order if they so wanted. The six books in question includes the David Copperfield I mentioned, plus A Shropshire Lad by A.E. Housman (Edward A. Wilson), Romeo and Juliet by William Shakespeare (Sylvain Sauvage), The Song of Songs (Valenti Angelo), The Scarlet Letter by Nathaniel Hawthrone (W.A. 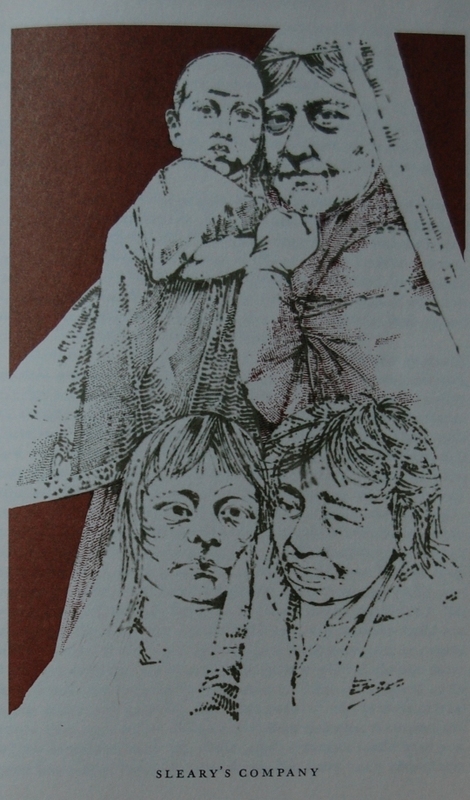 Dwiggins), and Manon Lescaut by the Abbé Prévost (Pierre Brissaud). 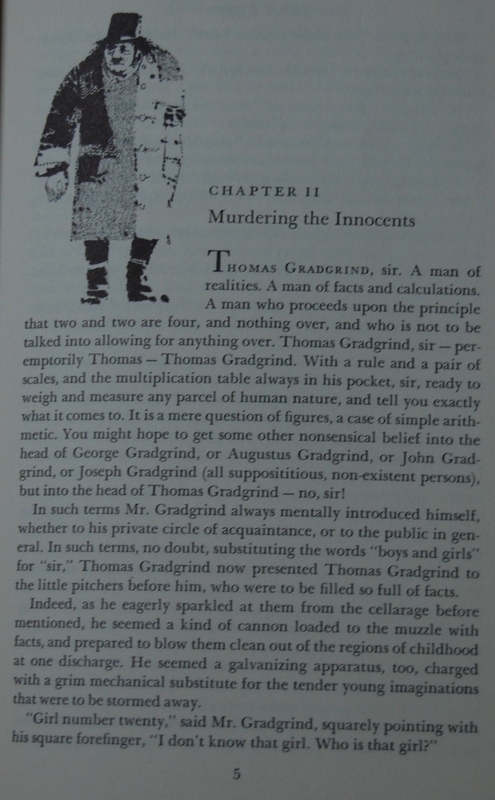 This info is from the LEC Newsletter for Tristram Shandy, the eleventh book of the seventh series in 1935. From what Django6924 at Librarything recalls, David Copperfield was first, meaning that Dickens launched the Heritage Press (to bring this back around)! 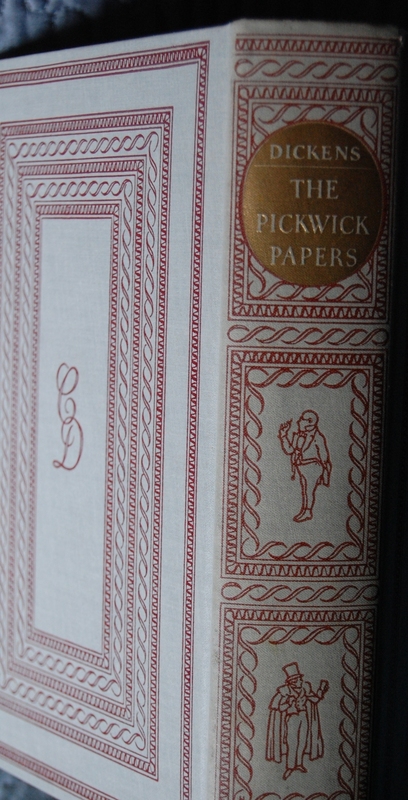 Gordon Ross, the illustrator for the Heritage Pickwick, was a fairly busy artist for the George Macy Company, with at minimum two exclusive Heritage books (this and Washington Irving’s The Sketch Book of Geoffrey Crayon) and four LEC’s, including two other Dickens works. These were A Christmas Carol (1934) and Great Expectations (1937). Obviously he was well suited to the characters of Mr. Dickens! 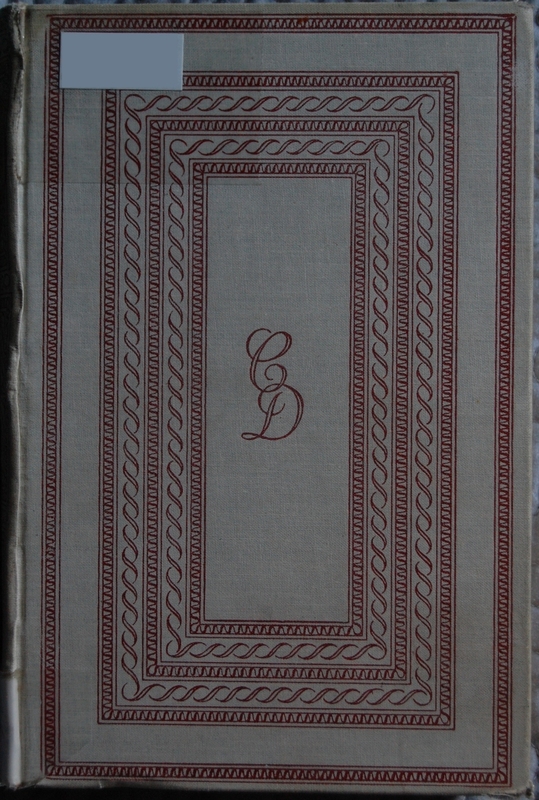 I have a Heritage The Coverly Letters (the LEC came out in 1945), one of the other two LEC’s he was involved in, with the other being The Jaunts and Jollies of Mr. John Jorrocks (1932). We’ll see Mr. Ross again sometime soon. 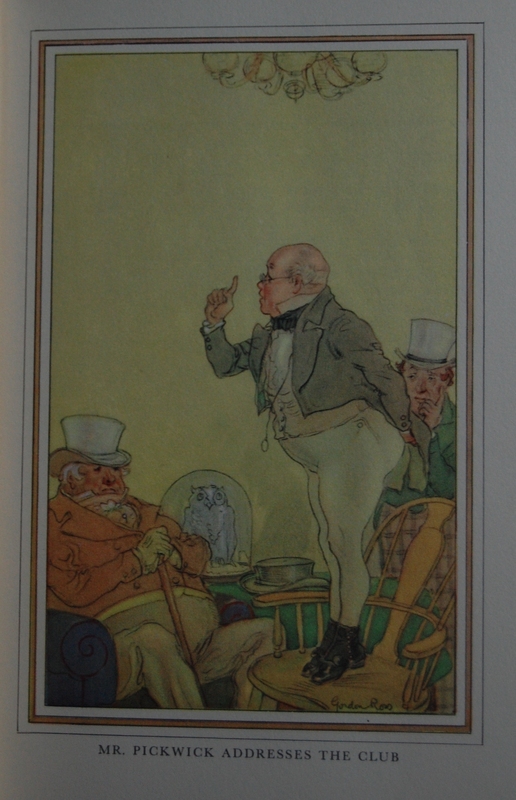 Spine – Mr. Pickwick and Mr. Snodgrass adorn the spine, taken from Gordon Ross’ paintings. 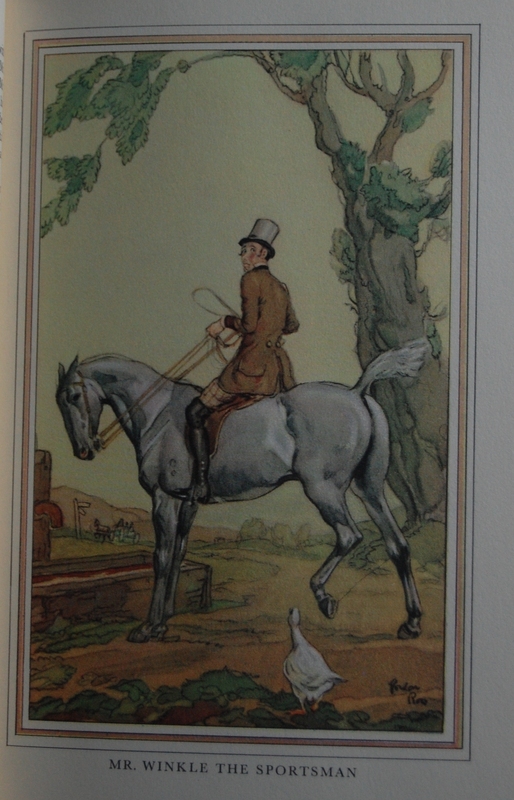 Title Page – Ross did eight paintings in this book, alongside drawings to introduce each chapter. You’ll get to see three of those paintings and an example of the chapter openers here. 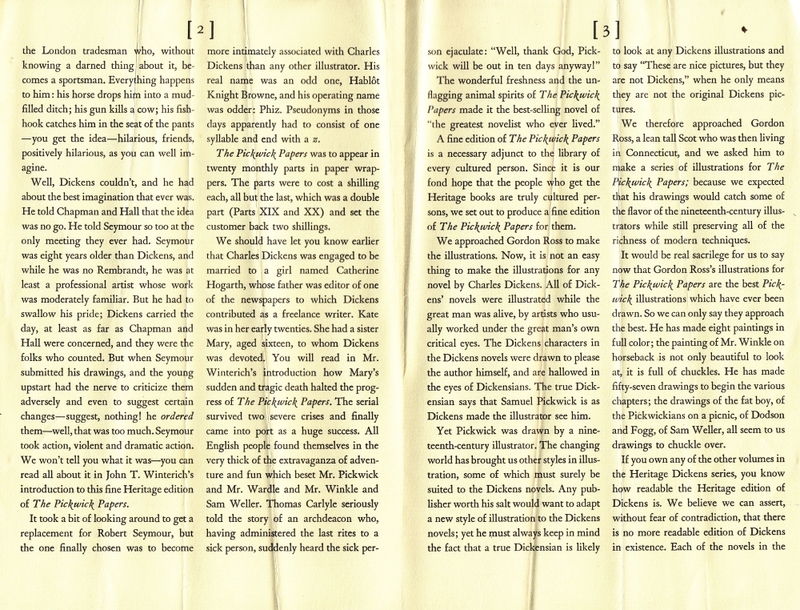 The text is Baskerville, designed by John Baskerville. 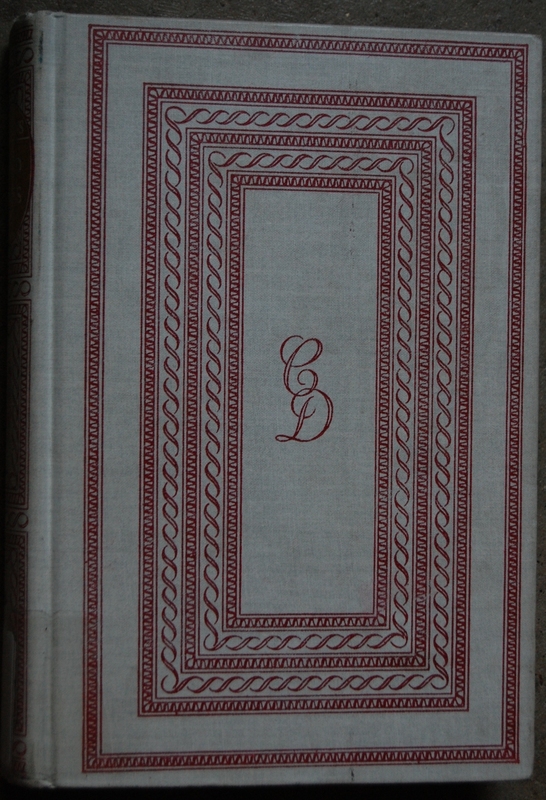 Printed by Case, Lockwood & Brainard of Hartford, CT with paper specially made for this book provided by Crocker-Burkack Comany of Fitchburg, MA. Personal Notes – I picked this up along with six other books in the first great Heritage Press haul I made, which took place at an Oakhurst library book sale. I acquired Nostromo, A Tale of Two Cities, Rights of Man, Toilers of the Sea and the two volumes of Les Miserables at the same sale. A considerable accomplishment! All for $2 a book and all of them complete, if I’m not mistaken. Of course, I did snag 50 books for $50 in 2012, which dwarfs this considerably, but for a long time it was the best acquisition I had. I’ve not read this one quite yet. 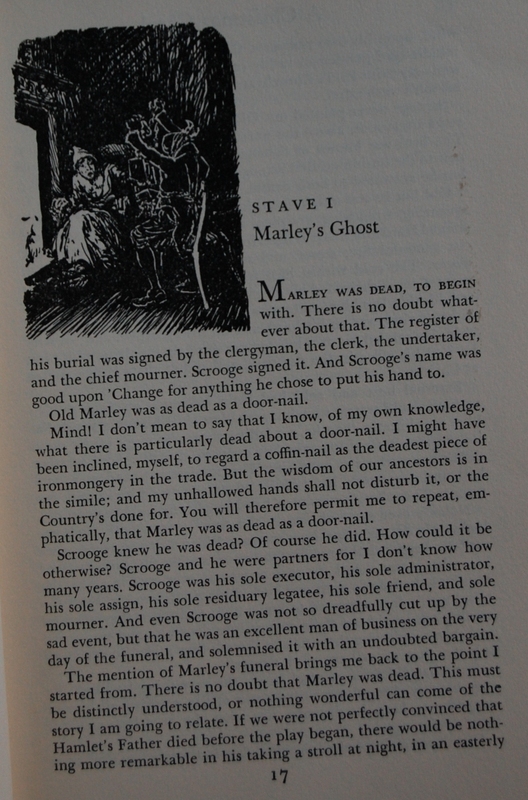 I’ve dabbled with Dickens with A Tale of Two Cities and A Christmas Carol, but I’ve yet to get through an entire work of his. I’m not through with him, though! The Sandglass does a considerable job of hyping this up as one of his best. 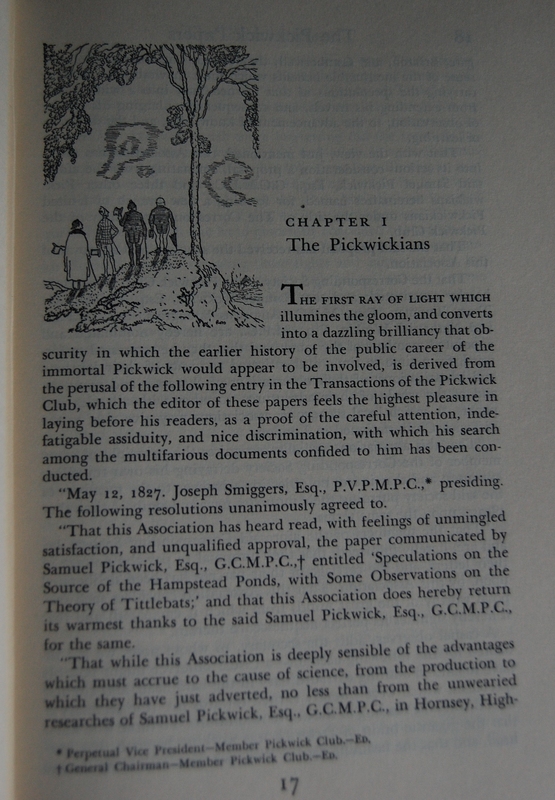 The LEC version of The Pickwick Papers features illustrator John Austen, but I’m not sure of any other differences these two variants may have beyond the design and artwork. Any enlightenment would appreciated! If you have that info, let me know through the comments here or at my thread about this blog at the George Macy Devotees @ LibraryThing! Thanks! 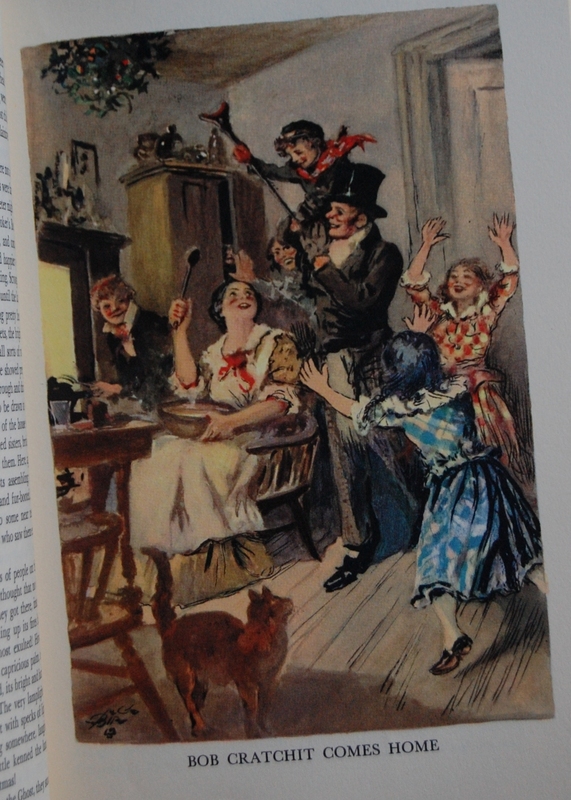 You are currently browsing entries tagged with charles dickens at The George Macy Imagery.